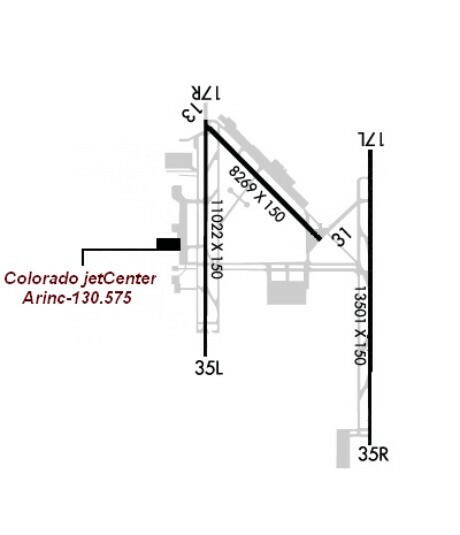 Colorado jetCenter is located at the Colorado Springs Airport, operating on all facets of the airfield providing fueling services for military, commercial, business and general aviation. Colorado jetCenter is the largest FBO on the field. The jetCenter FBO is a member of the AvFuel network and manages 22 acres of airport holdings, 400,000 sq. ft. of ramp space and 50,000 sq. ft. of climate-controlled hangar space. Amenities include on-site U.S. Customs, WSI weather, crew cars and rental cars, conference center, wireless Internet access and a separate area for pilots with refreshments, Internet access and media offerings. Free Wi-Fi, Large Heated Transient Hangar for Aircraft sizes up to and including Airbus A319, Crew Cars, Flight Planning and Private Crew Lounge, Passenger and Crew Computer Kiosk’s, Conferance Room, Deicing and Rental Cars.